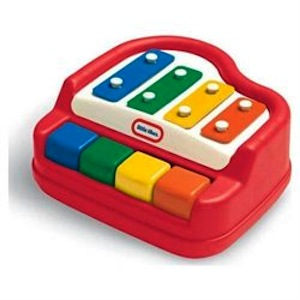 This little instrument offers big fun that keep baby amused while learning to love music! Four easy-to-press keys with pure sounding notes that go up or down the scale. Smooth, gently rounded corners make it ideal for baby's first instrument. Ages 6 to 36 months.